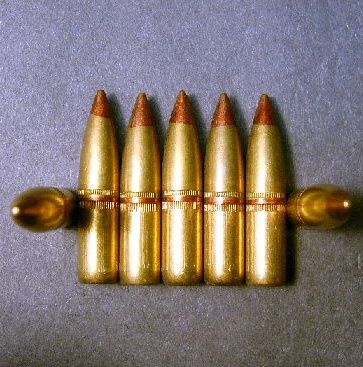 1,000ct., .30 cal. (.308 dia. ), 140gr. M-25D Tracer bullets. Made in the Belgium By F.N. These bullets have a dual canalure for loading them in either .308 Win. or .30-06. These bullets are hand-pulled and in top condition! They are nice and clean with no black sealant. They have the copper closure in the rear of the bullet. They light good and tracer well even in daylight.